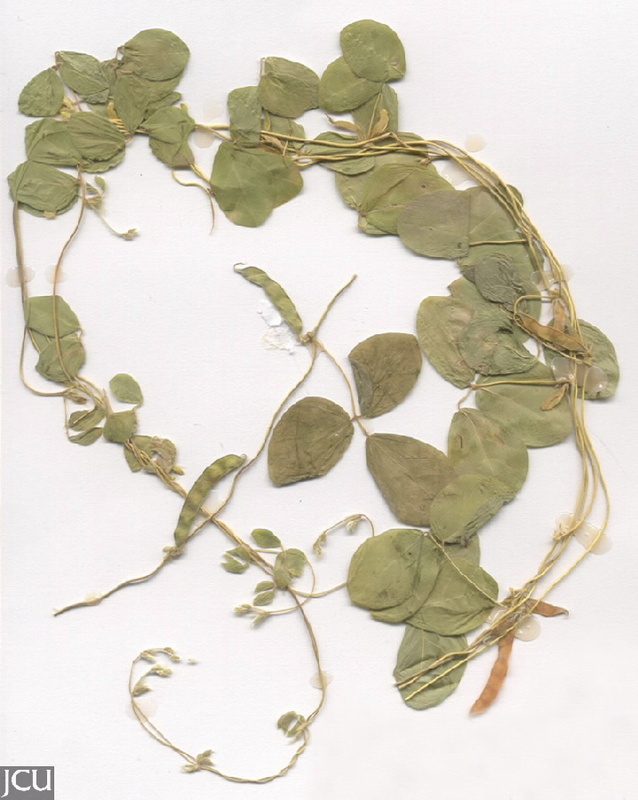 Stems densely covered with white spreading hairs, leaves with 3 leaflets. Flowers usually 3-4 together, standard petal greenish-yellow, may have a dark purple spot. Pad dark brown 3-3.5 cm long, slightly curved.